MODEPHARMA’s network model allows us to offer the full spectrum of manufacturing services for investigational medicinal products (IMPs). Our services are applicable to open-label, single-blind, double-blind, and double-dummy studies ranging from smaller phase I through to larger phase IV studies. All manufacturing/packaging of clinical supplies is undertaken to high quality standards in certified GMP manufacturing units licensed for the manufacture of IMPs as per current EU principles and guidelines on Good Manufacture Practices (GMP). 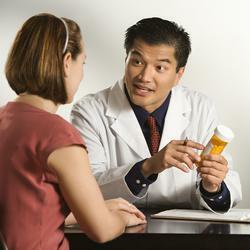 All clinical trial medication is subsequently certified and released by a Qualified Person (QP). End-of-study drug returns and destruction with certification. We do all this so that you can carry out a study with minimal obstacles. MODEPHARMA provides a full drug supply service for clinical trials and wholesale. Some of our current clients include University College London, University of Liverpool, University of Warwick, University of Oxford, Newcastle upon Tyne Hospitals NHS Foundation Trust, Bristol University, Cardiff University, St James's Hospital (Ireland) and Nottingham University Hospitals NHS Trust.